Making The Most Of Your Time At The Gym: The Do’s and Don’ts of Gym Etiquette | PrimeYours! In case you didn’t already know – the gym is one of the best places to spend your free time. Regular workouts help to maintain your health, appearance and general motivation level. Furthermore, the gym is a great place to meet other people who respect their bodies and are interested in fitness and a healthy lifestyle. 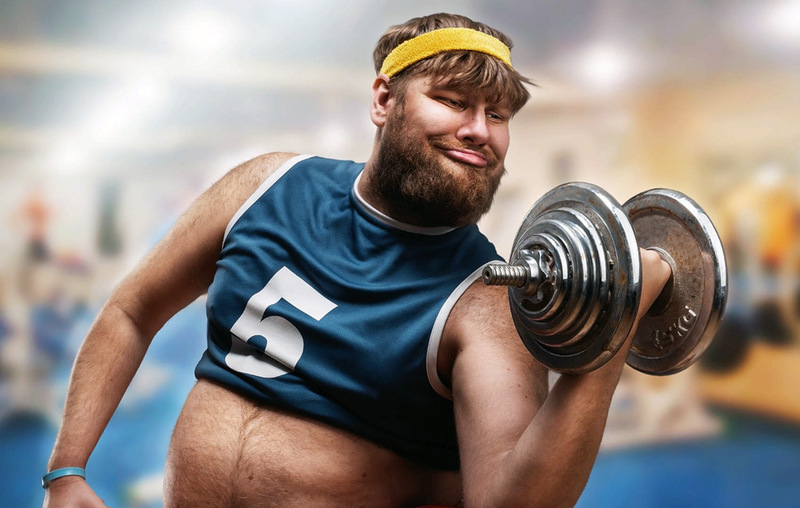 What you may not know is that there are some major no-no’s at the gym, which may potentially make you the secret laughing stock of your fitness-inspired compadres. What you don’t know may hurt you in the end, so pay attention to the do’s and don’ts of gym etiquette before you take your last steam shower at your favorite local fitness club. When it comes to your workout, it is great to have a fitness regiment or plan of action. You should learn how to use the equipment properly and be aware of your strengths and weaknesses when it comes to your own body. However, when it comes to sharing equipment and space with other men and women, there are also several unspoken rules that you should be conscious of. Sweaty equipment – a major no-no. You should always carry a towel with you, so that others are not forced to work their bodies in the hot, sweaty residue that you leave behind. While you may believe that the evidence of your work and strain is an impressive testimony to your masculine character, others are likely to disagree. Similarly, you must respect the general environment that others are sharing with you. While you might be too seriously distracted by your workout to smell the stench that is coming off of you, others may not be so lucky. It is not ok to poison the gym with your pungent male odour. In case you didn’t know, it is coming from more places than just your underarms. When it comes to interacting with other people at the gym, you must also be wary of what you do and say. Meeting people, including women, at the gym is a fine idea. However, you have to be a little bit careful of how you go about it. For example, don’t try and chat up a woman who has never made eyes at you, or looked or smiled in your general direction. If you catch her off guard when she is clearly not interested, she will likely shoot you down hard, and this will be embarrassing and potentially detrimental to your future dating of gym members. If you feel like you may share a certain “something” with a woman, wait until she looks like she has free time. Catch her on her way in or her way out, of as she is taking a drink of water and a rest. Don’t expect to get her number right off the bat, but establish yourself as an interested gym friend, who might turn out to be something more. It is generally also not a good idea to ask complete strangers if they want to “share” the equipment with you, or engage in your workout together. Some people enjoy a solitary gym regiment and don’t want to be approached by strangers. Even if a woman does want to engage in a conversation with you, she will not want to try and do it she climbs the stair-master at a high speed. Some thought should also go into how you present yourself at the gym. Old sweats and ripped t-shirts are a no-no. See-through, overly tight, or plain old grey cotton workout clothes should also be discouraged. It’s a good idea to spend a little money on some quality workout garb, you will look and feel better in them, and they are less likely to smell like your gym bag if they are made of a higher quality material. One more thing – spandex is not allowed in any gym, at any time, ever in your lifetime. Thank you very much. Now for some do’s and don’ts when it comes to your manners at the gym. Even if you feel like you are working out pretty hard, making grunts, groans and other generally extreme noises of exertion should be kept to a minimum. Adjustments to private parts, no matter how necessary at the time, should always be made in the privacy of the men’s washroom. Spitting in water fountains also a no-no, which many gyms already discourage with signs and warnings. When you are working out, it is not bad to be conscious of other people’s activities and techniques. However, even if you are admiring someone’s workout skills, it is never a good idea to stare. Even though the gym is a public place, people expect to have a modicum of privacy when they are working out, and your leering stares or lingering looks may be more upsetting to them than you know. Your manners become even more important when you are in the locker room at the gym. While you may be faced by some impressive, disturbing or generally shocking physical specimens in the locker room, steam room or shower, it is best to maintain composure, show as little emotional reaction as possible and avoid eye contact with strangers. Conduct yourself as you would hope that all the other people do – in other words, save all relieving of yourself for the appropriate receptacle (i.e. the toilet, not the shower). Also make the most of your towel when lounging around the lounge, steam room or shower. When it comes to contact with others in these private areas, it is best to speak only when first spoken to. If you are feeling awkward about the silence around you, keep the conversation light and informal. No one wants to be grilled about their work or life when they are relaxing after a strenuous workout. Follow these suggestions and you are sure to make the most of the time you spend at the gym. Remember to maintain as positive an energy and demeanor as you can, so that the gym remains a happy place for you to visit. You will find that others appreciate your energy – maybe even find it inspiring. Next Next post: Caffeine: Are There Fitness Benefits to Your Java Addiction?